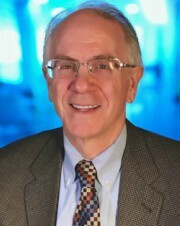 Nashville, Tenn. —William J. Maples, MD, currently chief medical officer for Professional Research Consultants and executive director for The Institute for Healthcare Excellence in Ponte Vedra Beach, Florida, has been named the 2015 recipient of the Healthcare Administrator Award, presented by the Association for Professionals in Infection Control and Epidemiology (APIC). Prior to his current roles, Dr. Maples was the chief quality officer and senior vice president at Mission Health System in Asheville, North Carolina (December 2010–March 2015). The award, which will be presented today at APIC’s 42nd Annual Conference in Nashville, Tennessee, is given annually to a member of a healthcare facility’s executive team who champions infection prevention efforts within his or her organization. Under his leadership at Mission Health, the infection prevention department grew from five infection preventionists (IPs) at one hospital to a system-wide department that now includes 12 IPs and spans seven hospitals. With infection prevention and control as part of the quality department Dr. Maples brought a number of process improvements to IPs, including training in root cause analysis. His support is also evident in the investment made in an electronic surveillance system that minimizes infection preventionists’ time to manually input data. During the Ebola crisis, Dr. Maples empowered IPs to take on leadership roles in planning, training, and logistics, and reinforced their recommendations with other senior leaders. He made sure that the work of IPs and the achievements in reducing healthcare-associated infections were understood by senior leaders as contributing to operational goals and helping to sustain the system’s overall financial health. Dr. Maples’s colleagues agree that he was instrumental in instilling a true culture of safety throughout Mission Health System, instituting weekly leadership rounds to discuss successes and barriers in achieving the goal of harm reduction. Under his direction, quality data included infection prevention metrics and was posted and reviewed on a weekly basis. In particular, Dr. Maples committed resources to prevention of surgical site infections with the introduction of process improvement teams focused on colon, spinal fusion, and hysterectomy surgical site infections. As a result, infections at Mission Health following spinal fusion and refusion surgeries dropped below the Centers for Disease Control and Prevention’s National Healthcare Safety Network weighted benchmark. The team’s focus on reducing immediate-use steam sterilization has also paid off, with a marked decrease in use of this process for sterilizing surgical instruments. APIC 2015 Annual Conference, June 27-29 in Nashville, Tennessee, is the most comprehensive infection prevention conference in the world, with more than 100 educational sessions and workshops led by infection prevention experts and attended by nearly 5,000 individuals. The conference aims to provide infection preventionists, doctors, researchers, epidemiologists, educators, administrators, and medical technologists with tools and strategies that are easily adaptable and can be implemented immediately to improve prevention programs. Join the conversation online with the hashtag #APIC2015. APIC’s mission is to create a safer world through prevention of infection. The association’s more than 15,000 members direct infection prevention programs that save lives and improve the bottom line for hospitals and other healthcare facilities. APIC advances its mission through patient safety, implementation science, competencies and certification, advocacy, and data standardization.